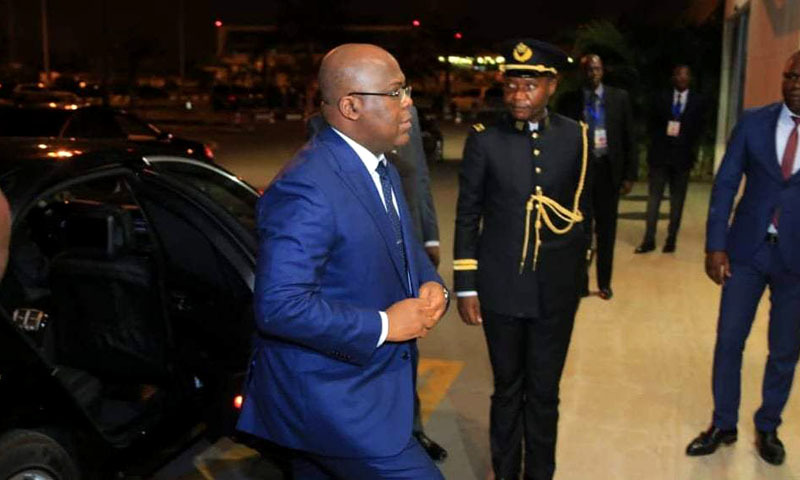 The President of the Republic Félix Antoine Tshisekedi Tshilombo left Luanda, Angola, Wednesday for a visit of a few hours in Nairobi Kenya, we learn. As for official stay of the DRC's Head of State in Kenya, it is planned a working visit to the presidential palace with his Kenyan counterpart, Uhuru Kenyata. It is reported that President Félix Antoine Tshisekedi Tshilombo will then visit the same Wednesday in Brazzaville in the Republic of Congo where his program is planned a face to face with his counterpart Dénis Sassou Nguesso. Next weekend, Félix Antoine Tshisekedi Tshilombo is expected to go to Addis Ababa, Ethiopia to deliver his new elected President's speech, a tradition of African Union (AU) summits. During his stay in Luanda, President Felix Tshisekedi had a tête-à-tête with his Angolan counterpart Joao Lourenço. He leaves the Angolan soil on a note of strengthening ties of fraternity between the DRC and Angola. Login to add article in favourites !